AHMEDABAD: On Saturday, Indian Prime Minister Narendra Modi — who was visiting China from May 14 to 16 — launched the Centre for Gandhian and Indian Studies at Fudan University in Shanghai. On the occasion, he invoked the Mahatma and said that the solution to pan-planet problems such as global warming and terrorism lie in Gandhiji`s teachings. "Gandhiji is still relevant," Modi said. The Chinese have found Bapu to be relevant for sure. For the first time, `Selected Works of Mahatma Gandhi` have been translated into Chinese. Chinese will be the first foreign language, apart from English, into which the works are translated. In an email, Dr Huang Yinghong, associate professor of School of Asia Pacific Studies at Sun Yat-sen University, Guangzhou, told TOI that the translation had been completed on the basis of the 2013 reprint of the works brought out by Ahmedabad`s Navajivan Press. The collection will be published in September by Yunnan People`s Publishing House. 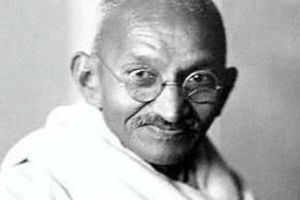 "The works will include Mahatma Gandhi`s autobiography, the account of Satyagraha in South Africa, selected letters, and Voice of Truth," Huang said. "The project covers all important aspects of Gandhism such as Ahimsa, Satya, Satyagraha, Swaraj, khadi, religion and so on." Navajivan officials in Ahmedabad said that the Selected Works, so far, are available in Gujarati, Hindi, and English. "